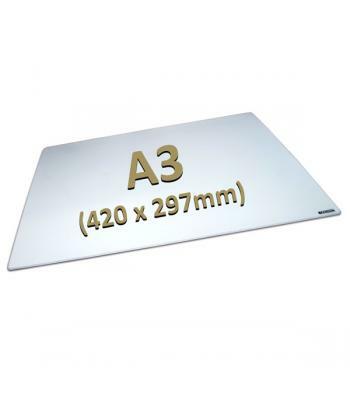 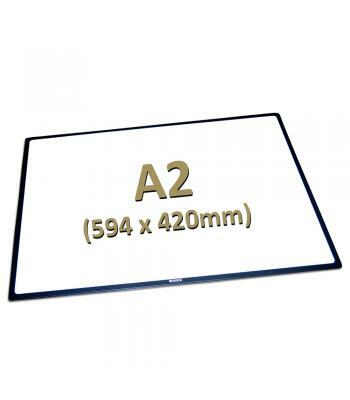 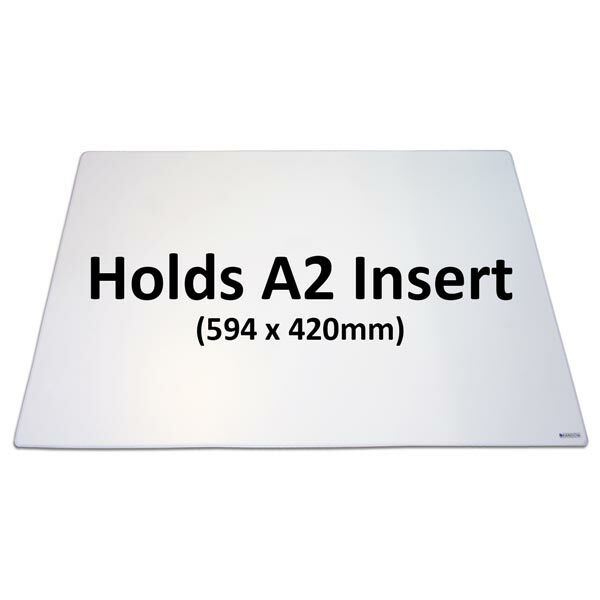 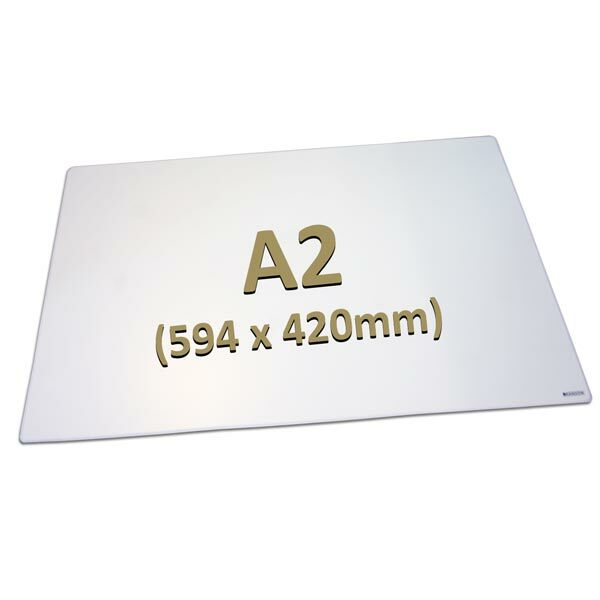 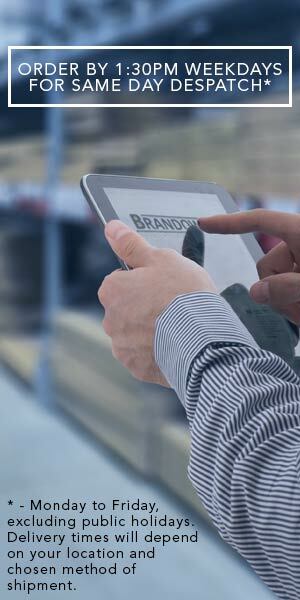 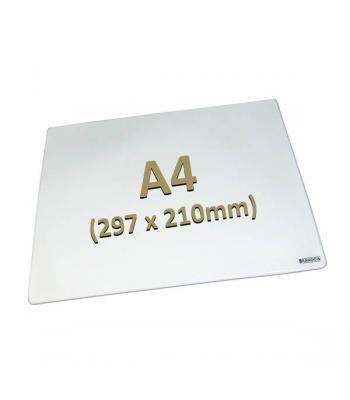 The Brandow Welded Mat for full A2-sized slide-in printed inserts (not supplied). 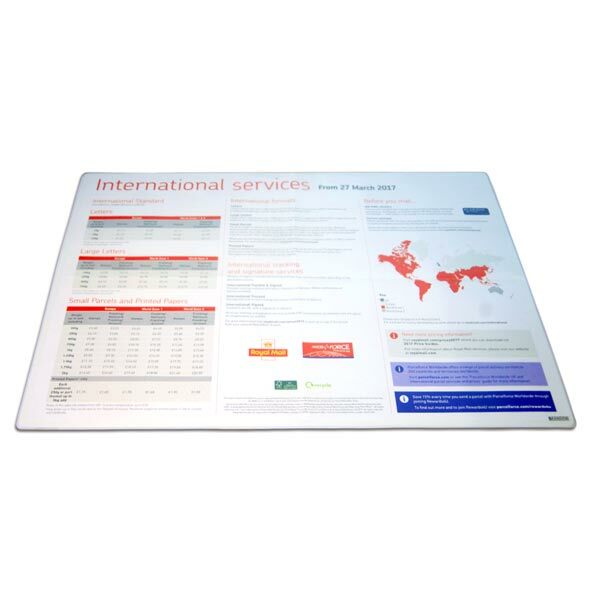 These quality, flexible counter mats are sealed on 3 of the four sides - the fourth side is open, allowing you to swap the advertising literature as often as you like. 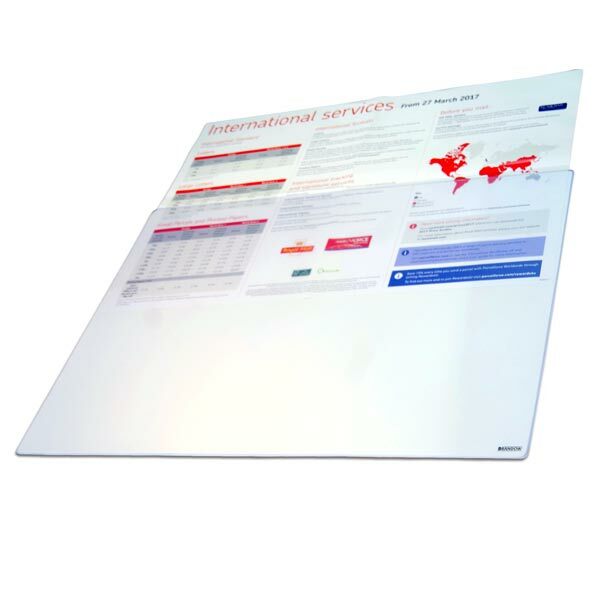 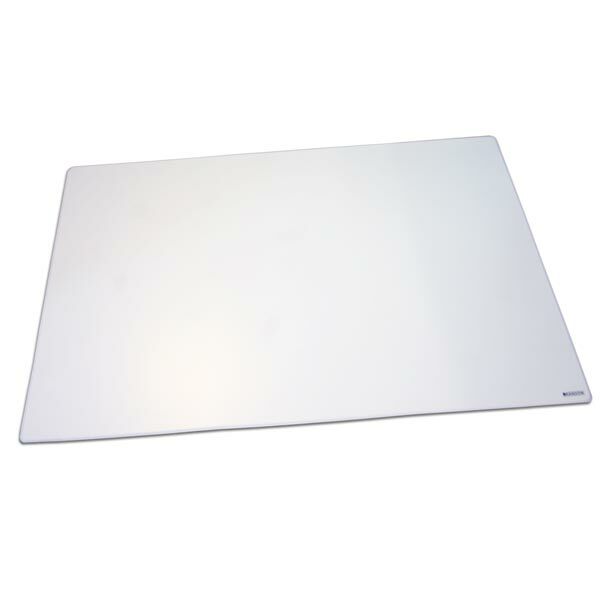 Tough, wipe-clean top layer is clear and borderless - soft and flexible with non-slip undersurface that provides excellent shock absorbance on the desk or counter top at point of sale.